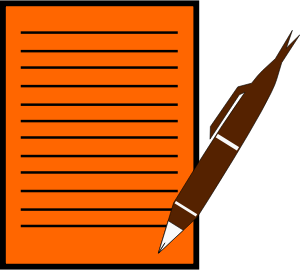 Image Credit: "Paper, Write, Pen" by aungkarns is licensed under the Public Domain. The following citation styles are the most popular and most used at SPU. Click the links below to learn more about citing sources in each style. From the American Medical Association. Used at SPU in nutrition & dietetics classes. This citation style is commonly used by writers and students in the Social Sciences, Business, Nursing, Psychology, and Economics. APSA is the citation style used for Political Science. This citation style is primarily used in Sociology. This style has two documentation systems (1) notes and bibliography and (2) author-date.The notes and bibliography style is preferred by many in the humanities, including those in literature, history, and the arts. The author-date system is most often used by those in the physical, natural, and social sciences. This citation style is most commonly used for the natural and physical sciences. This citation style is most commonly used to write papers and cite sources within the Liberal Arts and Humanities. This citation style is the one preferred by the School of Theology and Seattle Pacific Seminary. Its default is (1) notes and bibliography (6.1-4, pp. 68-104), but it offers also (2) an author-date and works cited option for "Authors writing in [practical theology and] the social sciences" (6.5, pp. 104-108). It is based on Chicago style. SBL stands for the Society of Biblical Literature.